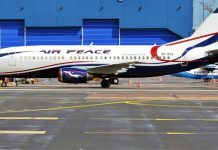 The Nigerian Civil Aviation Authority (NCAA) has said that the post certification process of airports requires continuous surveillance of Aerodrome and its facilities, and that the agency will sustain its monitoring and oversighting the Federal Airports Authority of Nigeria (FAAN) programmes. 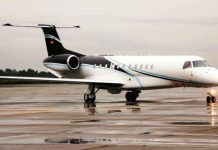 Director of Aerodrome and Airspace Standards (DAAS) of the agency, Mohammed Odunowo who disclosed this in an interview with aviation correspondents last Wednesday, said monitoring and surveillance will ensure that the mentenance level is in accordance with the Nigerian Civil Aviation Regulations (Nig.CARs) and Standard and Recommended Practices (SARPs). According to him, these will ensure that the certification is sustained, adding that the agency will do every thing deligently without compromising safety standards. He said that the other airports like the Port Harcourt International Airport where the process of certification is on going, will be concluded upon satisfactory completion of the certification process. “Basically, terminal building is not actually part of the framework for certification, because in the rest of the world where certification takes place, it is already assumed that there is a befitting terminal building.accordingly. “ Nonetheless, to monitor the Murtala Mohammed International Airport, Lagos, three directorates of the NCAA have formed a joint task force similar to that of the flight safety group to look at the regulations in order to formulate template for the oversight of the terminal building. “These directorates are directorate of consumer protection, directorate of air transport regulations, and directorate of aerodrome and airspace standards “,he said. Odunowo also explained that certification of aerodromes was in compliance to the International Civil Aviation Organisation (ICAO) annex14, adding that it has nothing to do with concessioning of the Nigerian airports.